Scent: Slightly camphorous, sweet, fruity.
. Benefits, Indications: Conjunctivitis, vaginitis, acne, sinusitis, bronchitis. This oil, when combined with bergamot, has been used effectively on herpes simplex. It may also help with acne, ear inflammation, endometriosis, nasal and sinus congestion, arthritis, catarrh, cold sores, colds, coughing, fever, flu, poor circulation. Companion Oils: Basil, cajeput, cedarwood, frankincense, ginger, juniper,lavender, lemon, marjoram, myrtle, niaouli, pine, peppermint, rosemary, tea tree and thyme. Precautions: Due to its 1,8 cineole content, Eucalyptus Radiata may cause CNS and breathing problems in young children. They caution against using Eucalyptus Radiata on or near the face of children under 10. Eucalyptus oil is very toxic when taken orally. Eucalyptus should be used with care and people with high blood pressure and epilepsy should avoid it. Excessive use of this oil may cause headaches. Validation of models to estimate the fumigant and larvicidal activity of Eucalyptus essential oils against Aedes aegypti (Diptera: Culicidae). Chemical composition and fumigant toxicity of the essential oils from 16 species of Eucalyptus against Haematobia irritans (Diptera: Muscidae) adults. 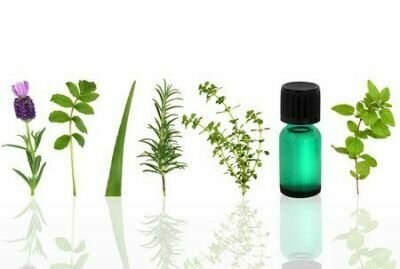 Variation in chemical composition and acaricidal activity against Dermanyssus gallinae of four eucalyptus essential oils.